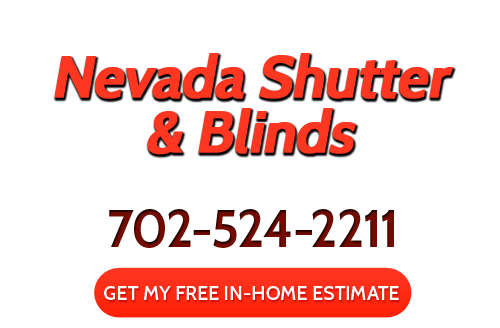 Nevada Shutters & Blinds can provide you with the best in Las Vegas shutters, shades and blinds and has been doing just that since 2000. We take care of both residential and commercial customers addressing the need for a single room or an entire office complex. No matter what type of job or what type of window coverings, you can expect the best in quality results. We also make it a point to only work with the best in materials and products. There is no point in committing to superior workmanship with inferior products. 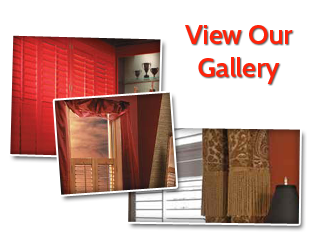 We are Certified Dealers for Lafayette Interior Fashions as well as Norman Shutters. We also work with brands known for manufacturing excellence such as Blynco Manufacturing, Century Blinds and Graber. The entire process starts with you giving us a call so that we can set up your initial appointment. This is when we can provide you with our free in home estimate and design consultation. This enables us to learn more about what you hope to achieve. It also gives us the opportunity to educate you about the options that you have and help narrow down the selection. We will take your budget and deadline into consideration and devise a plan for your window treatment solutions. All you have to do is sit back and enjoy the final outcome and we will even come check on your satisfaction level following the completion of the job. Understanding the options that you have for your window coverings is one of the most important steps in the process. How else can you decide what would be best for you if you do not know about the choices that you have? One of the most popular options is shutters in Las Vegas, such as plantation and polycore shutters. Shutters offer a rich, classic look that provides the greatest amount of light control adjustments. This also adds a layer of insulation which helps to keep your monthly utility bills lower and make your home more eco-friendly. Call today to find out more about shutters and your other window covering alternatives. We are always surprised when we hear that homeowners assume that they have to make a choice and sacrifice one key element for another. Quality products, excellence in installation work or affordable pricing should all go hand in hand. So you can feel good knowing that we will never force you to choose one over the others when we can deliver all three. Quality should show through in every aspect of getting just the right window treatments for your home or commercial space. This starts with the initial customer service during the free consultation and carry through for products and pricing, as well. We are able to do this because we focus on being the best Las Vegas window treatments company not the highest grossing sales team! The bottom line is that the crew here at Nevada Shutters & Blinds is the number one choice because we care about taking care of our clients. We take great pride in the work that we do which encourages us to go above and beyond for every job that we work on. There is no reason to settle for anything less than the best when it comes to the look for the interior and exterior of your business or home. We look forward to working with you and providing you with the exceptional quality you deserve. This is your project and you should be able to be 100% satisfied with the final results. So get in touch with us today to find out more about what we have to offer you. If you are looking for a Las Vegas shutters, blinds, and window treatments expert then please call 702-524-2211 or complete our online request form. I bought 5 window shutters from Nevada Shutter. Their prices were good and they installed the shutters perfectly. The shutters look great! Best price and best customer service. I love my shutters!